It’s time for us to dust off the scarves and come out of hibernation to welcome a new Premier League season. 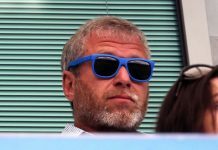 This season, Chelsea set out to defend their Premier League title, having fulfilled the prophecies of Jose Mourinho who said that this Chelsea side would be better prepared for the second season, likening the squad in the first season to a little horse. 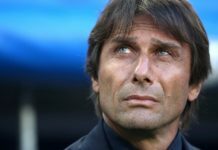 Now the hard work begins in earnest to see if this Chelsea side under Mourinho can achieve what his first Chelsea side accomplished, and that’s to retain the Premier League title. 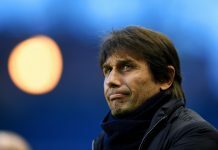 To do so will be a great task, considering the amounts of money spent by Chelsea nearest rivals in an attempt to close the 8-point gap that the Blues enjoyed at the top of the table, though it could have been more if not for a horrible performance at West Bromwich Albion in the penultimate match of the season. Nevertheless, the gap was clear for all to see, but with other teams strengthening and Arsene Wenger’s Arsenal finally getting one over on Mourinho, it’ll be fun to see the theatre of how this season plays out. Normally I would provide some sort of insight into our opponent, which is Swansea this weekend, but it’s always hard to do in the first match. You can look at preseason and the players that a club’s brought in, but neither is a real indicator of how the opposition might play. Instead, I’m going to give you a few things that I think might bear watching in the Chelsea side this season. Jose Mourinho has clearly not lost his edge coming into this season, and it better rub off on his team. Anyone who watched preseason must have come away with a bit of a sense of dread. The performances were unconvincing, at times bordering on the sluggish, and it seemed that the team, as a collective, was having trouble maintaining levels of concentration. Part of this could be attributed to a rather short preseason, lasting just a little under a month and featuring just 4 or 5 friendlies, depending on how you see the Community Shield. Add in players returning from Copa America and a trip to the United States for friendlies and you can see why some of the players may not be at their best. However, this is worrying on two fronts. First of all, it’s never a good idea to be short of fitness to start the campaign. The first few weeks rarely decide the title, but you don’t want to start slow and have to chase. The opening fixtures are tricky as well, with Swansea at home to start, followed by a trip to Manchester City on the second weekend. Speaking of City, they’re a cautionary tale for the second problem, one that could be even more troubling. Over the past four seasons, we’ve seen City win the title and then flounder the next year. 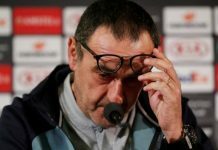 In that year following their title win, their campaign was marred by inconsistency and a perceived attitude that seemed to suggest that they were content with the previous season’s achievements. To prevent the latter, it seems that Jose Mourinho has stepped his motivations into overdrive. From non-handshakes and shots at Arsene Wenger ahead of the Community Shield to insulting Rafa Benitez and his wife, there’s been a chippy side to Mourinho during this early preseason. Perhaps it suggests that he’s focused and up for the fight and is trying to inspire his team to do the same. Time will tell, but the performances during the preseason better not continue now that the competition is starting. Lack of cover in midfield could be a problem, especially in the deeper areas. If there’s one real conundrum in the team, it’s deciding how to deploy the midfield. While Cesc Fabregas is clearly the conductor from midfield, it’s sometimes a problem to figure out where he’s to position himself to get the most out of his orchestra. As we saw much of last year and again in the Community Shield against Arsenal, Mourinho prefers a bit more solidity in his midfield, often deploying Fabregas further ahead in a number 10 role and Ramires alongside Nemanja Matic to be a bit more pragmatic. But as we saw last season and again in the Community Shield, playing that formation causes the team to become more stagnant due to Ramires’ inability to distribute effectively from deep and Fabregas not seeing enough of the ball as a result. 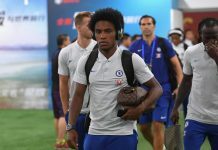 It’s no surprise that the team looked better against Arsenal when Ramires was sent out to the right and Willian moved in a more central area, and the later introduction of Oscar for Ramires, to allow Fabregas to sit deeper. 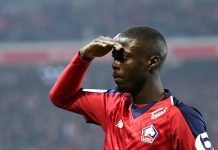 A solution would have been to find a midfielder who is at least competent defensively and can play passes, like an Axel Witsel who had been linked with us in the summer, or a Morgan Schneiderlin, but that was never happening. Aside from buying in that position, there is a chance that Ruben Loftus-Cheek could eventually fill that role, and we also have Nathaniel Chalobah, who played a similar role with Reading, back from loan. 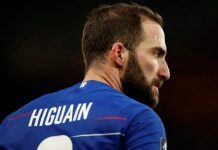 Experience is a question mark with those two, and unless a valid solution is found, Mourinho will have to decide between pragmatism and a more attacking look, but nothing really in between. Before last season, Mourinho predicted that Eden Hazard would take a massive leap forward and finally assert himself to become one of the best players in the world, matching his immense talent. Last season, Hazard did just that, becoming perhaps the biggest key to Chelsea’s success aside from the masterful performances at the back by John Terry. At the end of last season, Mourinho made similar comments about Oscar, commenting that he can make a leap in his progression just as Hazard did last season, and that may be true. Due to injury, the Brazilian was not called up for the Copa America squad and thus got his first summer break for many a year. 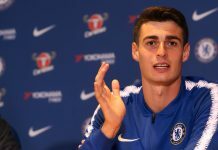 Oscar himself said that he’s played without a break for the better part of four years, with a Copa America, Olympics, Confederations Cup, and World Cup being contested during that time. Hopefully the period of rest will help him immensely because the talent is there. 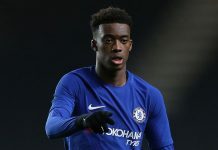 However, the last two seasons, his form has taken a massive dip in the second half of the season, and that must change for him to be integral and start to impose himself on games. However, he does improve the side, as you do notice a change in style when he doesn’t play. One player that the Copa America helped immensely was Willian. My criticism of Willian over the last two seasons is that he’s not incisive enough in the final third. He gets in good positions, but rarely ever looks for the killer pass or shot, opting instead to keep possession ticking over. 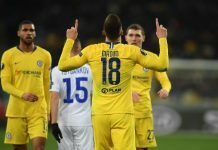 Well, in the absence of Oscar in the Brazil side this summer and the later suspension of Neymar, Willian started to show a bit more willingness to create more decisive chances. In the Community Shield, I think you saw what that development meant, as I thought he was the best player on the pitch and caused a lot of problems with his passing and movement in the final third. I expect him to also have a better season than we’ve seen in the past, which given his goal totals the last two years, shouldn’t be that hard. 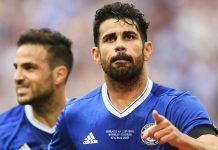 Diego Costa’s fitness is a concern, likewise the performances of Loic Remy and Radamel Falcao. In the final friendly in the U.S. against Barcelona, everyone had to have held their collective breath as Diego Costa limped off with an apparent hamstring injury. While it wasn’t believed to be serious, the fact that he didn’t feature in the Community Shield is cause for alarm given his problems with his hamstrings the last two seasons. Costa’s replacements, should he end up missing time, would be Loic Remy and Radamel Falcao. While I wouldn’t call either a preferred option, I wouldn’t say that either are particularly terrible either. Remy proved last season that he was more than capable of scoring big goals when needed, though he did have his own injury troubles. As for Falcao, he has his own documented problems after the season he had last year with Manchester United. However, I think this season, we’ll see whether Falcao can still be the force that we remember from the UEFA Super Cup a few years ago. Regardless, I think Falcao may surprise a few people. If anything, I think last season damaged his pride more than anything, and I think he’s desperate to prove a point. We’ll see whether he’s still able to do that at this level.